In 1955, Curtis Brown published an article entitled "Duties and Liabilities of the Surveyor Where Land is Transferred by Unwritten Means. "1 If you read the article, however, Brown discusses 'adverse uses' and lumps in estoppel, oral agreements, acquiescence, escheatment, and even accretion and erosion with respect to title being transferred. Under normal circumstances and general application, none of these principles or doctrines operate to transfer title. Accretion and erosion may move your boundary, but they do not affect your title. The other doctrines he discussed (outside of adverse uses), tend to settle the location issue, also without affecting title. Many years later, in 1979, Brown wrote another article on the subject entitled, "Land Surveyor's Liability to Unwritten Rights. "2 In that article, Brown describes three surveying situations, based on real events, wherein title to property was somehow conveyed by unwritten means. In all three cases, however, there was written title and there was confusion as to the one-the-ground location of the property. The real question in each case boiled down to the factual question of location, not the legal question of title. In the primary case that Brown described in this article (the first of the three examples), lacking sufficient information to know just exactly how the court ruled, the presumption to be drawn from Brown's description of the outcome was that the neighbor's occupation, which agreed with the neighbor's deed, represented superior title to the disputed overlapping area. If this was the case, and I can't be positive that it was, this could represent a junior-senior rights situation, not a conveyance by unwritten means. Assuming, arguendo, that we have a pure junior-senior rights situation and both parties have written title to their property that ostensibly overlap, no unwritten conveyances are involved. In such a situation, the junior deed is always read in light of the senior conveyance. The senior gets what the senior was conveyed and the junior gets what's left over. There is no unwritten conveyance out of the junior to the senior with regard to the overlapping area, because it was never conveyed to the junior in the first place. There is nothing unwritten about the conveyances at all, this is a proper interpretation of the written documents issue-not a conveyance by unwritten means issue. Sometime in the mid-1970's,3 Darrell Dean and John McEntyre, who were then professors in the School of Civil Engineering at Purdue University, wrote a 171-page treatise entitled "Establishment of Boundaries by Unwritten Methods and the Land Surveyor. "4 As Brown did in his first article, mentioned above, Dean and McEntyre discuss adverse possession and lumped in estoppel, oral agreements, acquiescence, practical location and the like. With the exception of adverse possession, none of these principles or doctrines customarily deal with title to the property, they are location doctrines that aid in resolving the location of a confused or disputed boundary line, they are not doctrines for a quiet title action. There may be more examples of the use of the term 'unwritten rights,' and this is not meant to be an exhaustive treatment of the origins of the term, but it would appear that these meager beginnings could possibly have been the catalyst that propelled the term into universal acceptance, at least within the land surveying community. The term survives in Brown's publications to this day and I would venture to guess that every licensed land surveyor in the United States has heard the term and has at least a rough understanding of what it is supposed to mean. I've used the term in my own publications because of its wide-spread use and recognition, but always with a caveat that the term is misleading, at best. The use and acceptance of the term is an indication that we5 have a basic misunderstanding or incomprehension of the difference between title to property and where that property is located on the ground. In the case of adverse possession without color of title, then I think we have true unwritten rights that may ripen into legal rights when a case of adverse possession is decided in court in favor of the adverse possessor. Not all color of title is equal. In some cases, the color of title could be a deed that for all intents and purposes purports to convey title. In other instances, it could be a defective conveyance that gives the appearance of 'apparent title.' In either case, if the color of title is in written form then it is not an 'unwritten right' (or potential right). Adverse possession with no color of title is truly an 'unwritten right' (or claim of right), that may or may not be realized in the final analysis. One of the many epiphanies that I have had in my surveying career, post law school, was the realization that the title to property and the actual location of that property on the ground were not necessarily the same. I had, of course, been exposed to the idea but the deeper meaning and true understanding that the determination of any boundary problem is a mixed question of law and fact had eluded me. "What are the boundaries is a question of law, and where the boundaries are is a question of fact. "8 It's a two-part question for crying out loud! That was the epiphany. This is the awakening that many surveyors, lawyers and even judges have yet to experience. In my mind this is one of the reasons judges do not want boundary disputes cases,9 because the title vs location dilemma requires one to wrap their brain around the idea that deeds do not necessarily describe the property, but only provide the means for identification. In many cases extrinsic evidence, such as parol evidence, must to be considered and evaluated in order to identify the property that was meant to be conveyed. The first question in any boundary surveying scenario is always 'what is the property?' This, of course, is provided for in the written title documents, not only of the client but in many cases of the adjoining properties as well. Then the question becomes, 'where is it located on the ground?' And this is provided for in the direct, collateral and extrinsic evidence gathered and evaluated during the course of conducting the survey. As we all know from experience, often there is an apparent conflict between what the deed seems to say and what we find on the ground. Let me re-phrase that to say that every time you go to the field you will find some level of conflict between the written title documents and what is on the ground. However, the 'De Minimis Rule'12 should always be employed to differentiate between true conflict and trivial matters. With all due respect toward Brown, Dean or McEntyre, their writings on the topic of 'unwritten rights,' 'conveyances' and 'methods,' fail to recognize that we are not dealing with something unwritten, we are dealing with the proper interpretation of the deed in light of the surrounding circumstances. Unfortunately, the idea that the boundary establishment doctrines, such as acquiescence, practical location, estoppel and the like, are unwritten conveyances as opposed to being tools to answer the location question in the face of ambiguities, uncertainties, and dispute, has caused many surveyors to stumble and fail to identify the true and correct property lines in too many cases. The 'pincushion corner,' which I have written about on many occasions, is simply physical evidence that what I am saying is true. We would do well to recognize the term 'unwritten rights' for the misnomer that it is, and move on to the business of utilizing the boundary establishment doctrines as the appropriate boundary law principles for rendering a well-reasoned opinion on the only question before us; where is the property line located on the ground? It is the only question that matters. Reprinted in "The Curt Brown Chronicles," Michael J. Pallamary, Author House 2011, at 305. Upon information and belief, the year may have been 1974. Dean, Darrell R., John G. McEntyre. "Establishment of Boundaries by Unwritten Methods and the Land Surveyor," ISPLS Surveying Publications Series, circa 1974. The publication is not dated. 'We' meaning the land surveying profession generally, and others who might employ the term such as title attorneys, other title professionals, real estate professionals and even judges. Without going too far into the weeds, I will concede that an argument could be made that quasi-easements and common-law ways of necessity could be considered as 'unwritten rights.' I do not, however, think it is a good argument, even these interests in land arise by written means through the conveyancing of the respective dominant and servient estates. Lay v. Phillips, 161 So.2d 477 (Ala.1964). DD&L v. Burgess, 753 P.2d 561 (Wash.App.1988). There are many other reasons, including the fact that many of the surveyors who come into court to testify as experts, are not really experts on the issues, including title vs location, and actually add confusion instead of clarity. This is my experience, not a universal condemnation. Sengfelder v. Hill, 58 P. 250 (Wash.1899). Harlan v. Muncie, 835 N.E.2d 1018 (Ind.App.2005). The 'De Minimis Rule': de minimis non curate lex, meaning the law does not concern itself with trivialities. When you ask yourself the question, 'how close is close enough?' you are dealing with trivialities. The courts never ask that question. Jeffery N. Lucas, PLS ESQ, has been in the Land Surveying business since 1976. Mr. Lucas is a licensed land surveyor registered in Alabama, Florida, Georgia, Mississippi and Tennessee. He is a licensed attorney and was admitted to the Alabama State Bar in 2003. 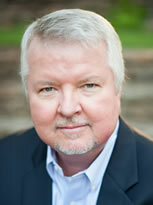 Mr. Lucas is a recognized expert in Boundary Surveying, Land Title Surveys, and Property Law. He specializes in Land Boundary issues as an attorney, land surveyor, consultant, mediator, and expert witness.